Hope you all had a wonderful Shavuos and mothers day! Had so many recipe posts planned for before Shavuos to give everyone some menu ideas but they didn't happen. The highlight dishes of our Yom Tov meals were definitely the brisket in a tomato wine sauce, some crispy fried potatoes that were like no others, cheesecake pie with raspberry topping sauce and whipped cream and the most amazing of all- iced coffee lattes that were out of this world! I had to take some time away from blogging for a little while and for that I do apologize. I am back for the most part. 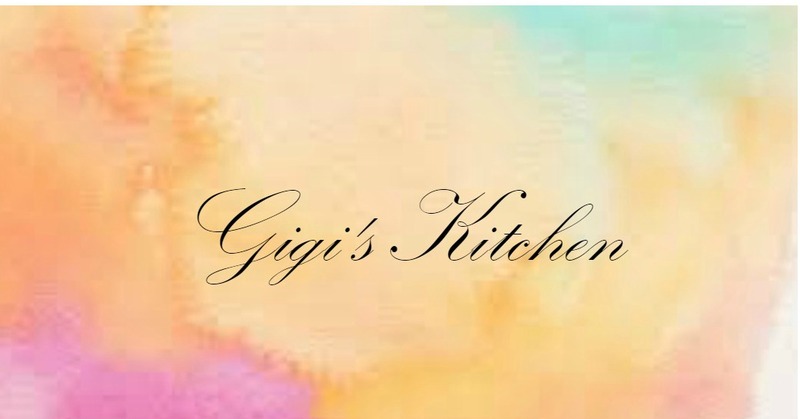 I will try to post some more recipes and get back into my regular blogging schedule. Here's a side dish I prepared recently along with some really delicious stuffed pasta shells. This would make a great appetizer or party treat as well. It's quick and easy and no matter how you prepare it it'll most likely look pretty and presentable. And the best part...you can put your favorite veggies in and customize it to suit you. These had red peppers, mushrooms, onions, garlic and cabbage in them. Just a combo I thought worked well together. I usually use wonton wrappers for ravioli, dumplings, egg rolls etc. 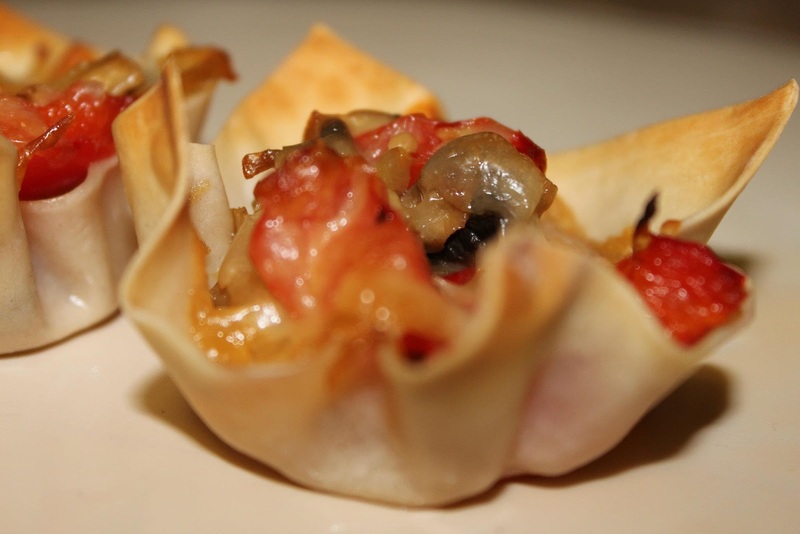 I've never done anything like this before but then I saw a picture of wonton cups with salad in it in one of my cookbooks and it got me thinking- you could put anything in baked wonton cups...and so that is where the inspiration came from. 1. Wash and clean the mushrooms really well. Remove their stems and chop them up. Remove the seeds and ribs of the red pepper, cut off both ends and chop it up as well.Then chop the onion. Make sure that all the veggies are chopped to about the same size- whatever size you like best. 2.Put all of the chopped veggies along with the fresh chopped garlic ( my favorite is the Polander jar style kind) and the cole slaw cabbage in a medium saute pan with with the veg. oil. Start the flame up a little higher to begin the cooking process up. Then lower the flame a little and allow the veggies to saute' for about 10 minutes or until they seem soft and cooked. 3. Add the sugar. salt, pepper and chili powder in the last 2 minutes or so of the cooking and stir it in well and keep stirring it to avoid burning the veggies. 4. 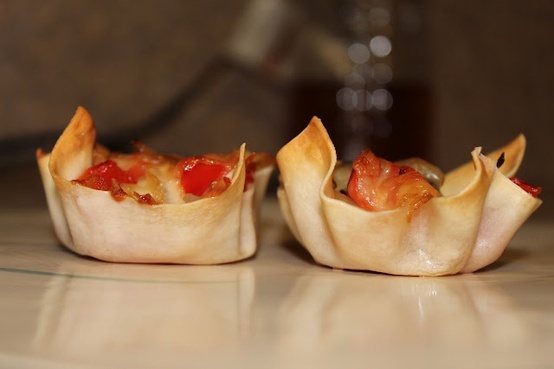 Take a wonton square and press the bottom part of it into a greased a cupcake paper cup allowing the sides of the wonton wrapper to lift up and bunch up a little at the tops. 5. Take a tablespoon or 2 of the sauteed veg. 's and place it in the prepared wonton cups. Place the wonton cups in a greased baking pan and bake on 400 for 25 minutes or until the wrappers have browned quite a bit. 6. Add a sprinkle of mozzarella cheese to the tops of the veggies in the wonton wrappers and put them back in the oven for about 2 more minutes or until the cheese has gone a bit melty. 7. Serve warm and immediately after placing the cheese on top.